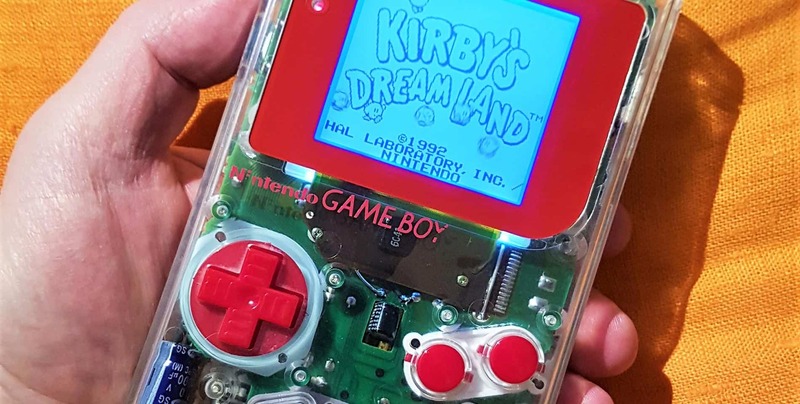 This is my latest modded Game Boy DMG-01. It’s a Play it loud model Clear, or Skeleton as it was called in Japan when it was released in the early 90s. To get it to look like this I had to clean and then polished the inside and outside. Most of the time these old shells have become milky and yellowish with age. Fortunately it’s pretty easy to fix with ordinary plastic polish or acrylic polish as it’s sometimes called. You can probably get it in any hardware store or else on Amazon. Backlight for the LED-screen, Bivert chip, Prosound mod, Bass mod and 1000 uF capacitor on the power strip to minimize noise and hiss (That’s the big blue capacitor down to the left). It’s still up for sale on E-bay but not sure for how long. These models usually go pretty quick.